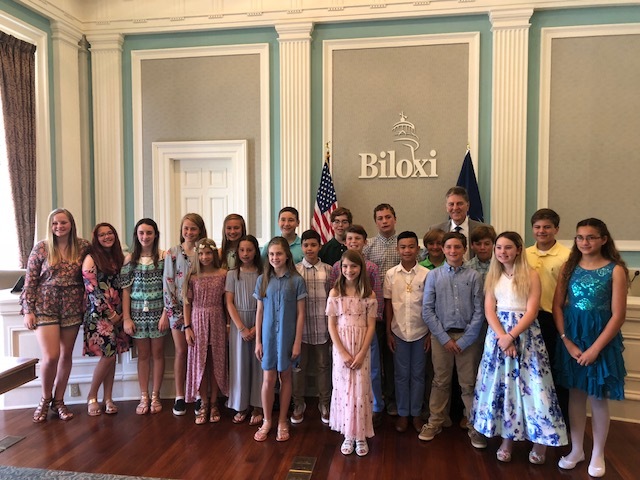 As part of their graduation celebration, the 6th grade class of OLF Elementary toured City Hall and met with Mayor FoFo Gilich. Cecilia Watson, Public Affairs Director, gave the students an inside look at the activities of the City Council including the office of Mayor Gilich. 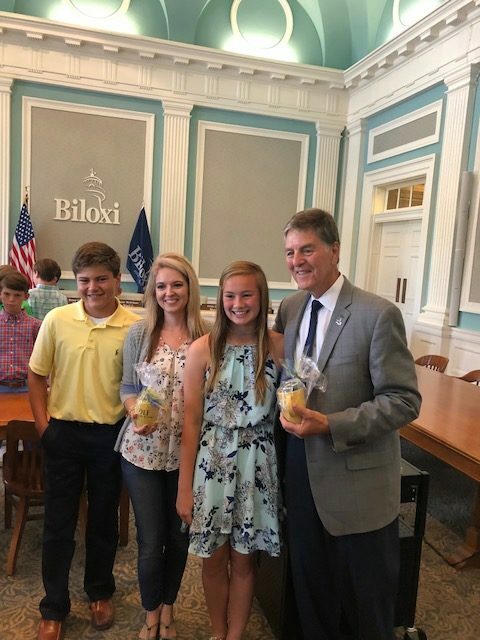 “The students hear about the activities of the Mayor and City Council and now they actually see where it all takes place,” said Cindy Grammar, 6th Grade Teacher. After touring City Hall, the students and parents had lunch at another Biloxi landmark – Mary Mahoney’s Old French House.